Three years ago today I was in Maryland, sitting in a hospital room with my family as we eagerly awaited the birth of my cousin Karissa's daughter. After a long, exhausting delivery, at around 10pm, Ava Marie entered the world and we all fell in love. Now the angel of our family is another year older and shining her light ever brighter. We love you, Ava! Happy birthday!! 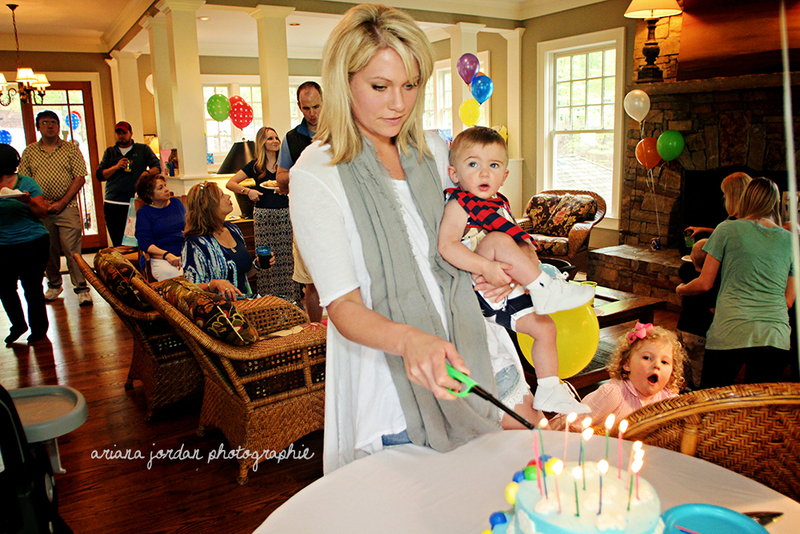 Just sharing a few of my favorite shots from Walker's birthday party. If you're interested in having your own special event photographed, let me know! Let me start out with gushing for a moment about how much I love the Walls family. I met Danielle and Lance in 2010 when they asked me to take their engagement pictures and was instantly smitten with them--their love for one another, their amazing chemistry, and their absurdly good looks just make me and my camera so happy. The feeling must be mutual, because I have been invited to join them in celebrating every milestone since: their destination wedding in 2012, their first pregnancy last year, and recently, dun dun dun, the first birthday of their adorable son Walker! I am beyond blessed to know and get to work with them. They are beyond supportive, and at this point they are more like extended family than clients. Ok, enough gushing, let me show you some of the shots I captured during my most recent adventure to Georgia. Walker is by far one of the sweetest, happiest babies I have ever met. He's got a smile that will melt your heart. He looks just like his daddy and he's got his mommy's joy; Danielle is always smiling and laughing, full of a wonderful energy and it's apparent that she's given that trait to her son. Lance and Danielle have taken to parenthood like fish to water. Watching them and their relationship grow over the years has been amazing. They are both so good with Walker. He's lucky to have such amazing parents! Congratulations to this wonderful little (but growing!) family. I love you guys and I can't wait to see you again! I had planned on adding some photos of Walker's party to this blog, but my time before having to go to work is drawing desperately thin, so there will be a separate post for those. Stay tuned! I met the Whitehead family not long after I started dating Drew in 2013. He has been friends with them for several years and they welcomed me with open arms, lots of absurdly funny stories, and the occasional place to crash whilst adventuring. Justin, Christen, and their daughter Reilly are really great people. Reilly is one tough customer when it comes to getting a photograph of her, but that doesn't change the fact that she is, hands down, one of the coolest tiny humans I know. She really took to me last summer when we were in Gatlinburg for Christen's sister Leah's wedding, and while I get a little awkward around most children, Reilly and I operate on the same level. She's such a smart kid, very sensitive and amazingly unique. Saturday, I met with Christen and Justin to hang out and take some spring photos of Reilly. It took a lot of coaxing, bribing, and cajoling, but I managed to get a few good shots of her, albeit not many where she wasn't glued to mom or dad. The thing with kids is you just have to let them be themselves, and capture the moments as they come. The picture below, on the right, is the very last one I captured. We had called it a day, and Reilly on the swings as the three grown-ups stood and chatted. As we decided to leave, Christen asked her if she was ready to go home, and she said no. So I asked, "Reilly, do you want to sit in the grass with me?" and to my surprise, she nodded. So I sat her in a spot that was filled with beautiful light, plopped down next to her, and we chatted for a minute before she decided she'd had enough. I was elated. That smile was a huge victory! Justin must have been doing something extremely goofy behind my back, haha. If you'd like some spring portraits of your own, feel free to contact me!